The simplest ideas are often the best. To Florian Simmendinger, the CEO of Soundbrenner, the support of some of the world's greatest musicians and band leaders for his wearable metronome - Pulse - is living proof of this notion. The Pulse is so simple in its concept, you may wonder why no one thought of it before. Next, you may wonder if it's really more than a gimmick. But once you've tried it and eperienced how your whole idea of musical time expands and changes, you'll appreciate how elegantly and significantly Pulse will help your groove improve. 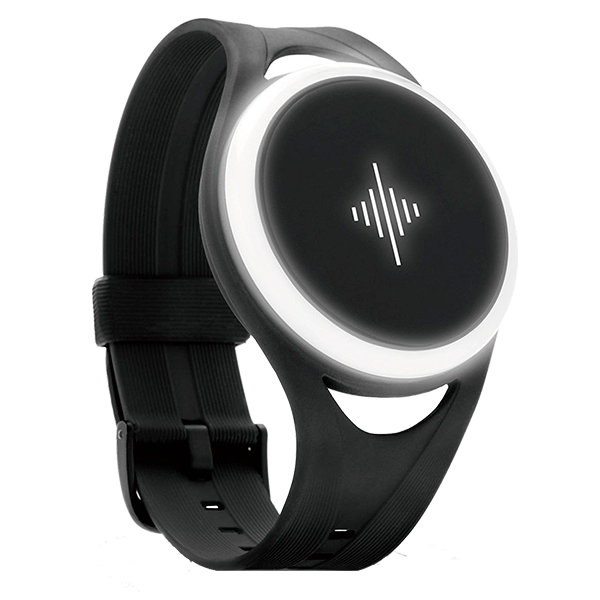 But Pulse is much more than just a wearable, pulsating metronome for practice. The free smart phone app lets you create any time signature you need and even store complete playlists for instant recall. And since Pulse communicates wirelessly with other units, your entire band can now enjoy perfect sync without tedious clicking sounds in their ears. Pulse even connects with your DAW of choice to allow for tight integration with electronic backing or jamming with DJ's. It's hard to describe how different actually feeling the groove from a Pulse is to just hearing it from a conventional metronome. But we're quite sure you'll never use one of those static, ticking thingys ever again, once you've worn a Pulse.